Имате въпрос към A-Star Phulare Valley Resort? Построен през 2013, A-Star Phulare Valley Resort е важно допълнение към Чанг Рай и разумен избор за пътуващи. Разположен на 20 km от най-вълнуващите части на града, този 4.5-звезден хотел притежава отлично местоположение и осигурява лесен достъп до най-големите забележителности. С удобното си местоположение хотелът предлага лесен достъп до всички градски забележителности, които задължително трябва да се видят. A-Star Phulare Valley Resort прави всичко възможно гостите да се почувстват удобно. Затова хотелът предоставя най-добрите услуги и удобства. Най-важните съоръженията на хотела са безплатен WiFi достъп във всички стаи, 24-часова охрана, ежедневно почистване, таксиметрови услуги, 24-часова рецепция. Гостите на хотела могат да изберат една от 86 стаи, в които се усеща атмосферата на спокойствие и хармония. Хотелът разполага с множество уникални възможности за отдих, като например открит басейн, риболов, масаж, басейн (за деца), тенис на маса. A-Star Phulare Valley Resort е добър избор за всички посетители на Чанг Рай, защото предлага спокойствие и безпроблемен престой. Деца на възраст 5-12 години ще бъдат таксувани 650 THB на дете на нощувка, ако използват наличните легла. 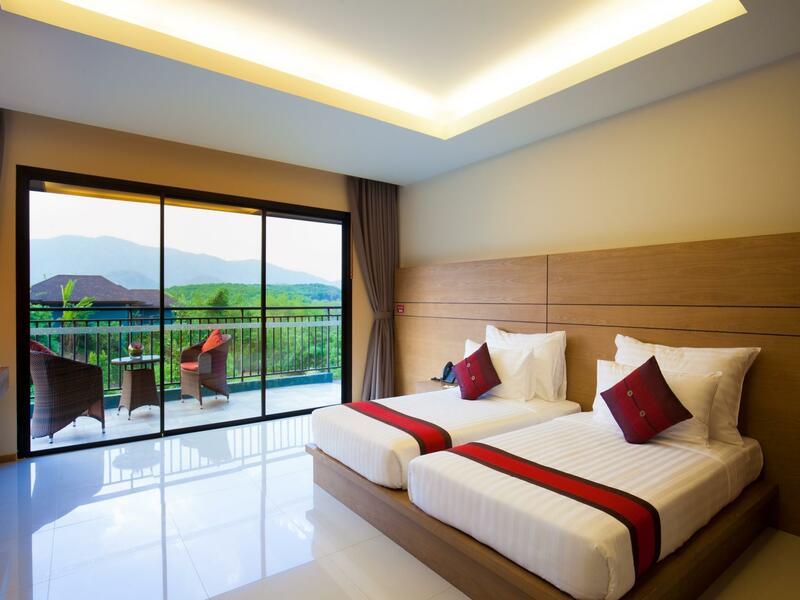 The hotel provides an airport transfer from Mae Fah Luang-Chiang Rai International Airport to A-Star Phulare Valley Chiang Rai. Guests must provide their full flight details upon booking. Отель подходит для отдыха вдали от городской суеты. Очень тихо. Прекрасная территория. Ощущение, что в отеле нет больше других гостей. Pool villa - отличный номер. Так как гостиница только построена, еще видны некоторые недоделки. Но персонал делает все возможное, что бы их исправить. Отель далеко от города. Доступность только на такси. Очень подходит для туристов на авто. Хорошая стоянка для автомобилей. Love our Premium Chalet with the mountain view! The bedroom & bathroom are spacious and clean. Breakfast is great. Hotel's location is perfect for day trips for attractions around, including Doi Tung and Golden Triangle. Will be back! The atmosphere is perfect for retreat with lots of activies. Staying there is to lose track of time. The breakfast is full scale and lots of varieties mixing between Western and Eastern particularly Northern foods. The staff are very friendly and helpful. The location is not far from the city but it is unbelievable to find valley like and mountain behind view. I and my wife totally agree that we would go back there to stay whenever we go back to Chiang Rai. It's the wonderful and astonishing place. Everything was perfect, except wifi. I spent only one night in this beautiful hotel and it was an amazing experience to relax and enjoy the Thai jungle. The food in the restaurant was very nice. The room was amazing, big spaces to put the luggage, clean, comfortable bed and we just loved the pool! Read so many mixed reviews about this place! If u are planning to go for a private pool villa, GO FOR IT! It’s amazing and value for money. the toilet is one of the most luxurious ones we have seen! Breakfast is great, wide spread for buffet. We drove on our own so it’s a really wonderful stay. We did not get a pool villa with view, but it was great enough considering we got it at a good deal. You might want to request as some pool villas come with a nice view. It was raining when we stayed there, so we did not do too much exploring. The hotel is a bit out of town but not that much. The service was very good and the staff were very friendly and responsive. I live in Chiang Rai Thailand and took my wife there for her 50th birthday. I kind of expected more due to the cost of the accommodation but nothing was really wow. The room was a nice size but really not special. 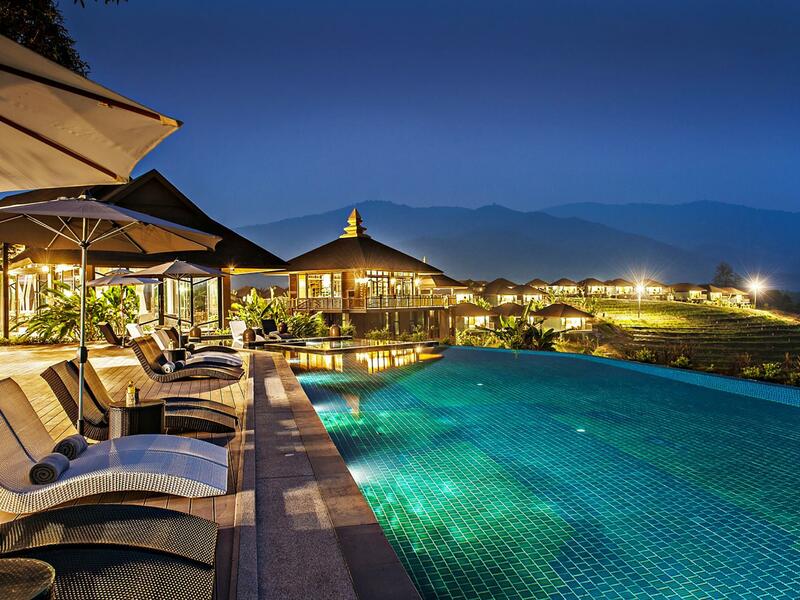 There are pool villa, etc that look really nice with there own infinity pool. So I guess for the Dollar or the Pound it's not too bad. I can not find the negative side of this resort and will come back here again when visiting Chiang Rai. The resort provide privacy feeling even though full of guests. Breakfast is great. Dinner is good but beverage is a bit expensive. Great mountainous location & scenery and plenty of activities to enjoy during your stay. However, we booked a premium chalet via Agoda because we saw it has mountain view . We checked in and had dinner there right away. Our room had no mountain view at all because the banana leaves and branches covered the scenery. We had to jump up to see a view. We asked the staffs why we had NO mountain view. We found out that they are not sincere (with Agoda customers) and are tongue twisted. I wished I had recorded this. The staffs said that we had no mountain view because we did not reserve the premium chalet. (we paid for the premium chalet!). Then they changed the answer:, well, the other chalets are full. But we saw there were still vacant ones online. SO we asked the reception why we did not get the mountain view we paid for and they replied that it was because we booked through AGODA. If we booked to the hotel directly we would get the mountain view, but the price is about +500 baths. Originally booked 3 nights and ended up staying a week. Quiet and peaceful with great views. I recommend the pool villa for the money. The private pool was very nice. Insider tip: request pool villa 1202 if you can...it has the best view of the valley. I looked at 4 different villas, 1202 was the best. Originally booked 3 nights in pool villa. Checked out, then decided to come back and stay 4 more nights. The staff changed things around to give us the same pool villa we had previously. First class service, amazing views, nice breakfast. I am very pleased with this place. We have the pool suite and the view is spectacular, the surrounding was peaceful and relaxing. This is a place for relaxing and recharge. Room is big and clean with separate shower and bath. The location of the resort is a bit out of the city but not too far away. Best is to have own transportation to get around. I will definitely return to the resort since it is a good hide away. So grateful to this wonderful staff. They treated me professionally and warmly like a friend when something difficult happened here during my trip. Beautiful pool, excellent breakfast and gorgeous landscape. Couldn’t ask for a nicer place and will return with my family for holiday next time! We loved this place, it’s 30 minutes from Chiang Rai centre and very comfortable place to stay. Our standard chalet was roomy, comfortable and quiet. The pool was very warm and awesome to chill out in. Breakfast was lovely and has a good selection of foods. There are activities like quad biking and archery to do also. Next time I visit Chiang rai I’ll look no further than this place. 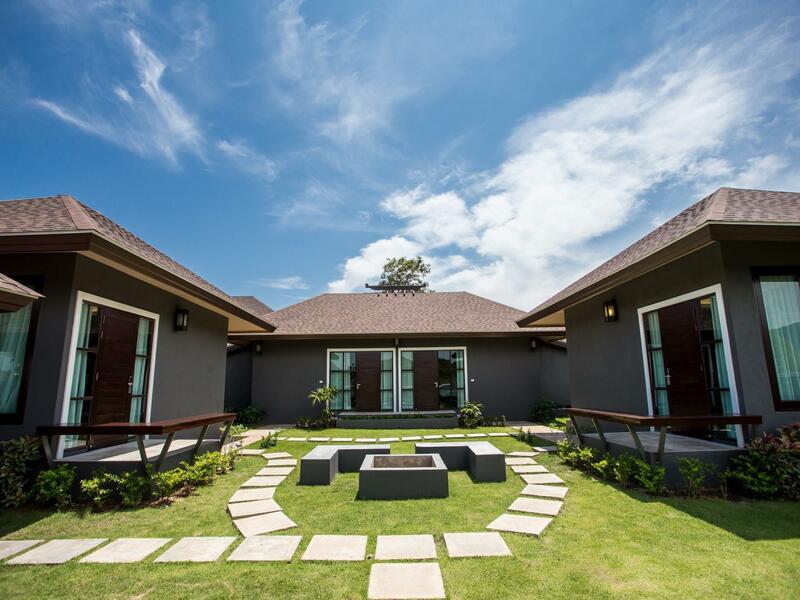 Get the pool villa, you won't regret it! So quiet and peaceful! Most beautiful bathroom I've ever enjoyed! Best bathtub ever! Most beautiful partitions between rooms! Gorgeous large windows in all sides! Clean serene pool! Incredible animal sounds! Best breakfast buffet I've ever had, hands down no contest. Extremely helpful staff! *we had an accident in the bed, and the staff arrived fast at 2am to change to new sheets. Loved this place and will recommend until the end of my life! Great value for money. Amazing location with hills all around. Full-size wooden travel cot with bumper provided free of charge. Lots of high chairs and extremely friendly and helpful staff. Loved the food and the pool. Great for kids. Enjoyed several walks around the grounds and garden. Would come back! AMAZING. Will 100% be returning, the staff were amazing and helpful. The breakfast options in the morning were unlike most thai resorts, options were endless! So many activities to do on site! The staff were very friendly and helpful. From the receptionist, bell boy, and waiters. They were all very helpful and service minded. One thing I have to say is that the 1st day we arrived and had lunch bat all day dining, we waited very long for Kao Soi. That was the only down point of our experience here. The rest has been wonderful. Would definitely come back again. There is alot to do at this resort. Super clean too.